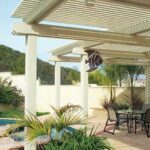 An essential part of planning a patio roof or gazebo project is determining the number, size, and spacing of rafters, beams, and posts, according to the loads they will carry. 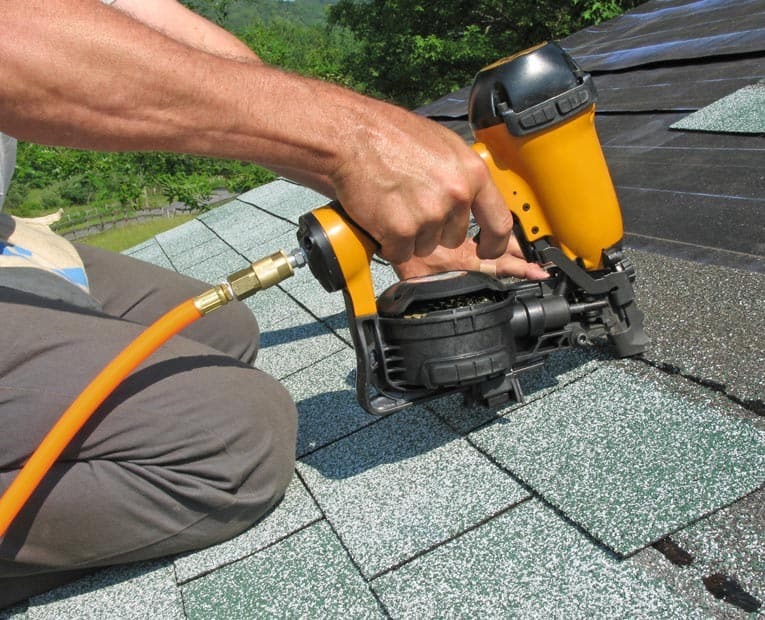 In areas with mild climates, patio roofs are generally designed for loads of 30 psf (pounds per square foot). For heavy roofs or in areas with substantial snowfall or winds, call your local building department for code requirements. 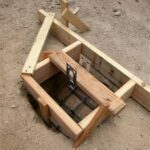 The tables below give maximum spans for rafters and beams. The figures are based on quality materials. For lesser grades, spans should be shorter. Keep in mind that these are maximums—in other words, shortening spans slightly will result in a more solid structure. 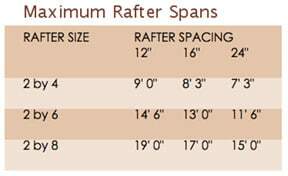 Find out the loads your overhead must bear, and then determine the rafter sizes. 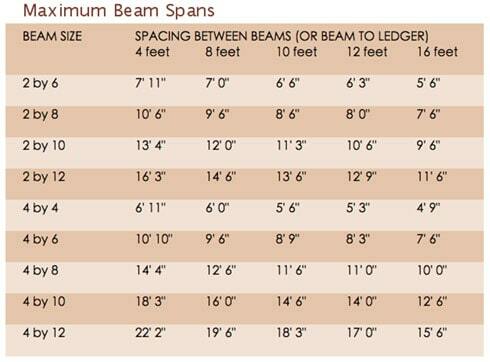 Next, calculate beam placements and how best to coordinate them with the rafters. Keep in mind that these are minimums for the spacing indicated—you can select larger sizes to handle excessive loads or for appearance. Of course, beefier sizes also increase your lumber bill.